My only direct involvement was in my role as a journalist and broadcaster, telling the story in the mainstream media. I recognised that whatever one thought about the Roswell Slides, this was a newsworthy story and, accordingly, I liaised with the Daily Mirror (one of the UK’s national daily newspapers) and was quoted in a series of three stories that they ran on the Roswell Slides, in the run-up to the unveiling, at the time of the release, and in the immediate aftermath. These Daily Mirror stories were subsequently picked up by various other media outlets, and the story got a degree of coverage. However, the extent of mainstream media engagement was nothing like that seen with Ray Santilli’s Alien Autopsy film, or other big UFO stories, such as when I publicise the release of a new batch of the UK Government’s UFO files. And this is the first point I want to make. Despite the huge amount of information about the Roswell Slides on various UFO-related websites, forums and email lists, and on Facebook, there was comparatively little mainstream media coverage. Bottom line: this story was big news in the UFO community, but not with the wider public. The second point I want to make is that ufologists can often get so caught up in the minutiae of an issue that they find it difficult to take a step back and look at the bigger picture. 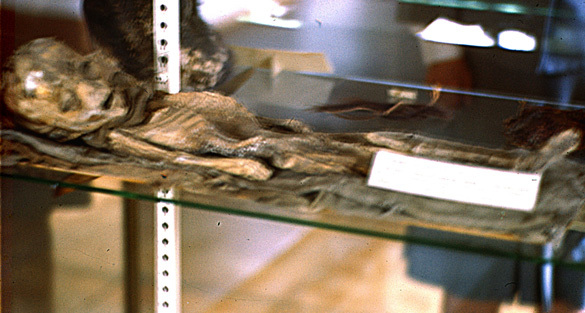 Thus, while supporters and detractors of the Roswell Slides debated all sorts of minor issues, few people considered the question “If the US Government really had extraterrestrial cadavers in its possession, how would they store them”? The answer to that question, for anyone looking at the Roswell Slides, is “not like that”! Having worked for 21 years in the MoD I know a fair bit about the way in which highly classified information is handled. If the US military had acquired extraterrestrial cadavers and kept this fact secret, this would have been treated as Top Secret/Sensitive Compartmentalized Information and handled accordingly. The story being told about the Roswell Slides made no sense when viewed from an InfoSy (Information Security) perspective. This is illustrative of a wider point: sometimes it pays to set aside the search for the questions that have been already asked, and consider what other questions could usefully be asked. There was (and still is) much discussion and debate about the various individuals involved in all this, either as organisers, or as people who endorsed the slides. Did some of them know (or suspect) the truth, but say nothing? Should those involved have done better research? Was a fraud perpetrated here, and if so, who were the perpetrators and who were the victims? And what about the legal position? There has been talk of a class action lawsuit, but some questions arise from this: if there has been an offence here, would it be fraud, breach of contract, or both? Would US or Mexican law be applicable, and does the fact that many of the transactions were made online have a bearing on jurisdiction? What disclaimer was made beforehand, and what (if any) degree of legal protection does this afford? When Ray Santilli sold the media rights to use clips and stills from the Alien Autopsy footage, he did so on the basis of a very carefully-worded legal disclaimer, which had doubtless been prepared by a lawyer with experience in the entertainment industry. Did the Roswell Slides promoters do the same thing? Related to this is the issue of who said what in the aftermath of all this. Some of those involved stuck to their guns, while others stayed silent, perhaps hoping to ride out the storm. Some issued gracious-sounding apologies, while others issued carefully-worded statements attempting to distance themselves from the situation. With the legal position uncertain, it’s not clear how these various responses will play out for the individuals concerned, but for the record, I suspect that most of those who attended the Mexico City event were victims themselves. If they were guilty of anything, it was probably only of being a little too credulous, and a little too eager to be a part of something they sensed would be a big story, and good for their careers. Various reputations are currently in tatters, but time is a great healer, and it may indeed prove to be the case that some of the participants will succeed in being able to distance themselves from the situation – if not with the law, then at least with their peers and with the wider UFO community. While much may depend on the degree of involvement (actual and perceived), the extent to which their apologies are seen as sincere, and their general attitude in the aftermath of the mummy explanation being found, the number of variables involved and the uncertainties of human nature mean that it’s not currently possible to say with any degree of certainty who (certainly among the ‘supporting cast’) will fare better, and who will fare worse. For those who study ufology as opposed to UFOs, this will be very interesting to watch. If people really want to get to the bottom of all this, follow the money, not the mummy. Most of the ‘supporting cast’ probably went to Mexico City for their airfare, their hotel room and a small honorarium and/or per diem that in all probability barely covered their bar bill. As I’ve said before, the people who you see at UFO conferences selling their own self-published and publish-on-demand books and DVDs out of a cardboard box aren’t getting rich from this. Generally speaking, it’s event organisers and film producers who harvest the ufological meme to generate serious cash, and not the ufologists. The final question I want to consider is how all this will play out for ufology more generally. My prediction may strike readers as counter-intuitive, but I suspect this will have very little effect in the long run. Why? It goes back to the point I made about how little mainstream media coverage this story got. Even here, there’s an old saying in the UK media that today’s newspaper is tomorrow’s fish and chip paper. The media moves on quickly, and the same is true of the UFO community. New sightings will take place, new stories will emerge, and fresh controversies will erupt. Some people have been gleefully crowing about this being the end of ufology. Others have been talking about it being a new dawn, with the diligence and co-operation of the Roswell Slides Research Group serving as a model for future research and investigation, where hoaxes and scams are quickly exposed. Neither side is correct. It’s not the end of ufology, but it’s not a new dawn either. Ufology is simply too big and too multi-faceted, and there’s too much inertia for any single incident (short of Disclosure!) to move the subject significantly in any new direction. Ufology a year from now will look pretty much the same as ufology today, and the Roswell Slides saga will be largely forgotten. Nick Pope is a former employee of the UK Ministry of Defence. From 1991 to 1994 he ran the British Government's UFO project and has recently been the public face of the ongoing initiative to declassify and release the entire archive of these UFO files. Nick Pope held a number of other fascinating posts in the course of his 21-year government career, which culminated in his serving as an acting Deputy Director in the Directorate of Defence Security. He now works as a broadcaster and journalist, covering subjects including space, fringe science, defence and intelligence. Nick Pope’s latest book, Encounter in Rendlesham Forest, co-written with John Burroughs and Jim Penniston, was published in paperback by Thomas Dunne Books on 3rd March 2015, and has also been published by Thistle Publishing. It’s available on Amazon and in all good bookstores.